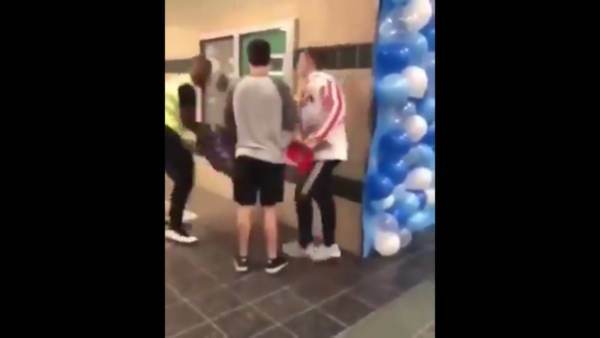 On Monday, an underage Edmond, Oklahoma High School student was attacked by an 18-year-old student for wearing a ‘Make America Great Again’ hat and having a Trump 2020 flag! the wearing of the hat was part of a school fundraiser where students are allowed an exemption to the dress code by making a donation so they can wear a hat in school for the day. Monday altercation between two Edmond Santa Fe students has resulted in a ticket of summons being issued to one of the male students involved in the recent dispute, according to police. A video of the daytime incident was sent to The Edmond Sun. Kenneth Dewayne Jones, 18, is named on the municipal court summons on an offense of assault and battery. Jones has not been formally charged. The video shows an 18-year-old African-American male and a white underage male involved in the incident, Edmond Police spokeswoman Jenny Wagnon said. The underage student was wearing a red hat stating “Make America Great Again” and carrying a banner. 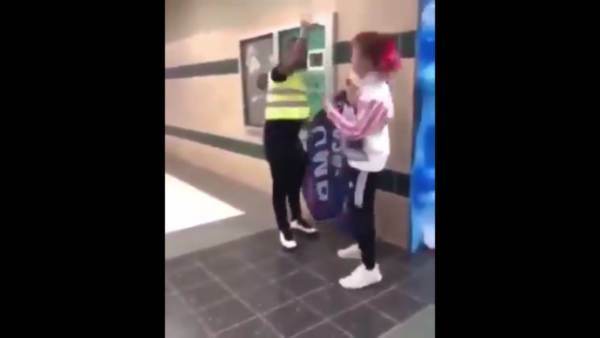 “Take it off or I’ll rip it off … do you want me to rip it off?” is heard as the 18-year-old student confronts the underage student in the video conversation, along with other name-calling. Sadly, our national ideological temperature has risen to such a degree that hate has replaced tolerance, racial division has become intensified, and political discourse has become the norm! However, it is of no surprise, as the Democrats, Hollywood, Academia, and Mainstream Media have all been inundating our political landscape and public conversation with vile hate, demonization of political differences, fueled racial divisions, and have led America to one of the most divided and tumultuous times in the United States of America. Now, it has permeated not only society in general, but throughout our schools, and our youth in America! I’d must test with you here. Which isn’t one thing I normally do! I take pleasure in studying a submit that may make people think. Also, thanks for allowing me to comment!